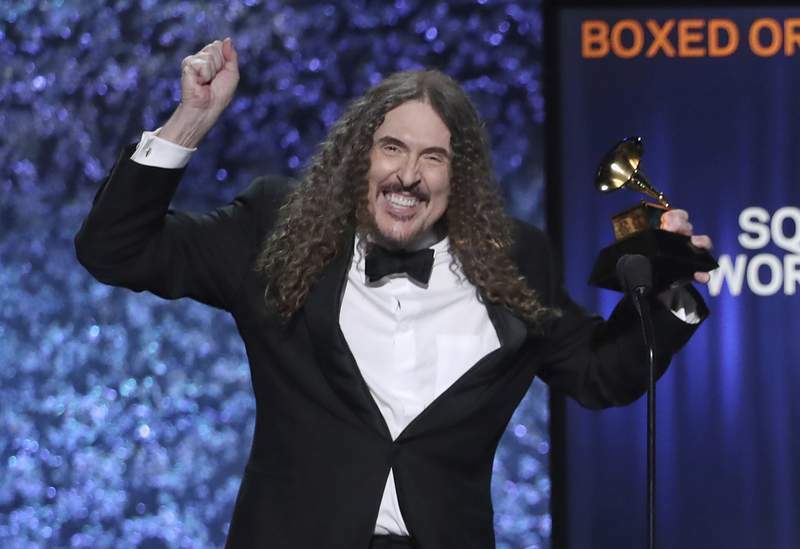 LOS ANGELES – Women returned at the Grammys on Sunday as female acts won album of the year and best new artist, while rap also triumphed, with Childish Gambino's "This Is America" becoming the first rap-based song to win record and song of the year. Kacey Musgraves' "Golden Hour" picked up album of the year, and Dua Lipa won best new artist. "I don't even know what to say," Musgraves said. "I am very thankful. Winning doesn't make my album any better than anybody else in that category." Gambino was the night's big winner, picking up four honors, including best music video and best rap/sung performance. Drake surprised the music world when he emerged on stage to accept the best rap song trophy but told the room of musicians that winning awards isn't necessary if you have real fans attending your concerts and singing your songs. Drake, who rarely attends awards shows, won the honor for his massive hit "God's Plan." 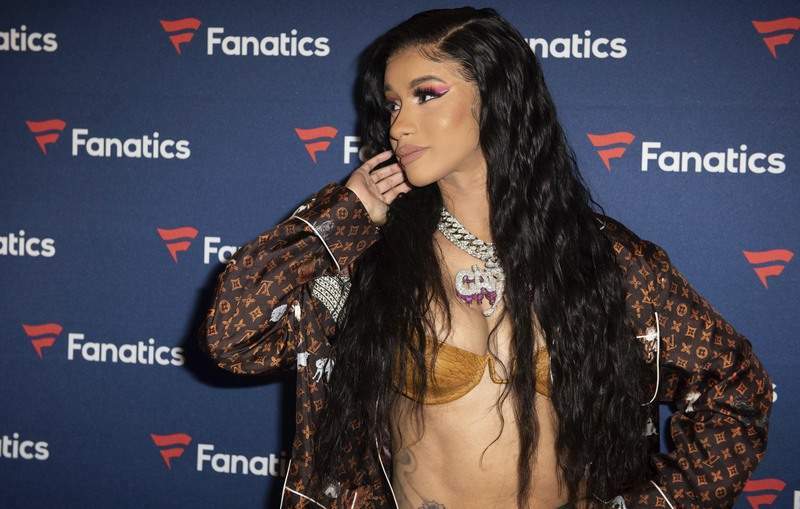 Cardi B made history as the first solo female to win best rap album (Lauryn Hill won as a member of the Fugees at the 1997 Grammys). 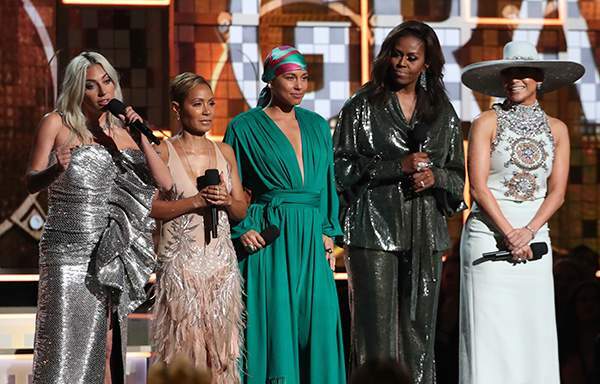 The Grammys kicked off with a group of powerful women, including Michelle Obama and Lady Gaga, describing the role of music in their lives — a display that came a year after female voices were somewhat muted at the 2018 ceremony. Gaga told the crowd: "They said I was weird, that my look, that my choices, that my sound wouldn't work. But music told me not to listen to them." 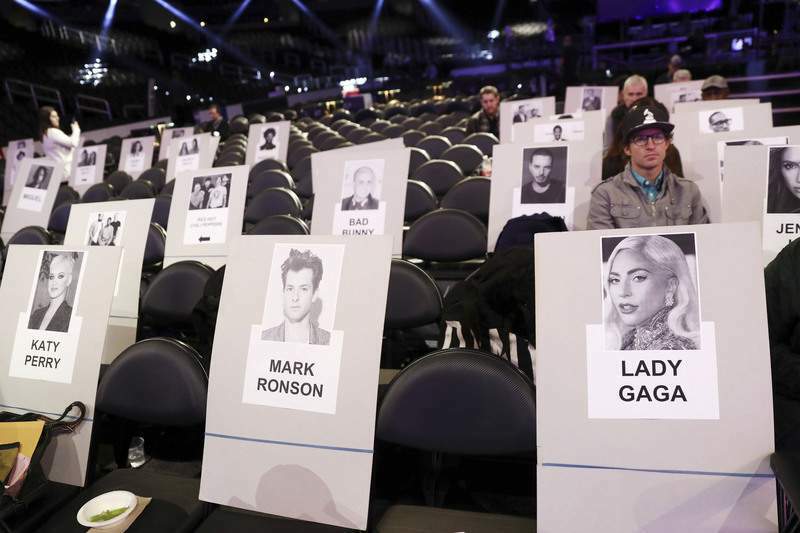 The opening contrasted with last year's Grammys, where male acts dominated in nominations and the only woman competing for the top award, Lorde, didn't get a chance to perform onstage. 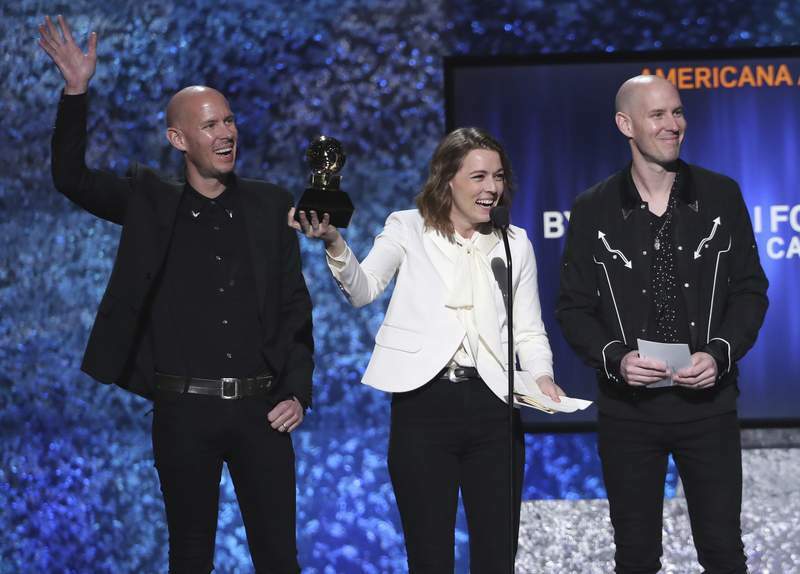 Carlile took three honors in the Americana category and will compete for the three biggest awards during the live show: album, song and record of the year. 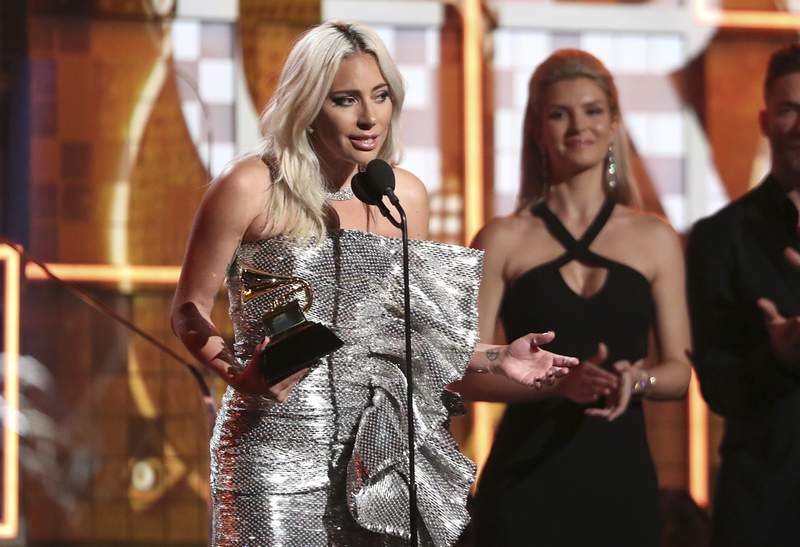 Gaga, now a nine-time Grammy winner, won best pop solo performance for "Joanne," while hit "Shallow," from "A Star is Born," was named best song written for visual media. The song is nominated for an Oscar and also won at the Golden Globes, the Critics' Choice Movie Awards and the Satellite Awards. Women have a strong presence in the top categories. 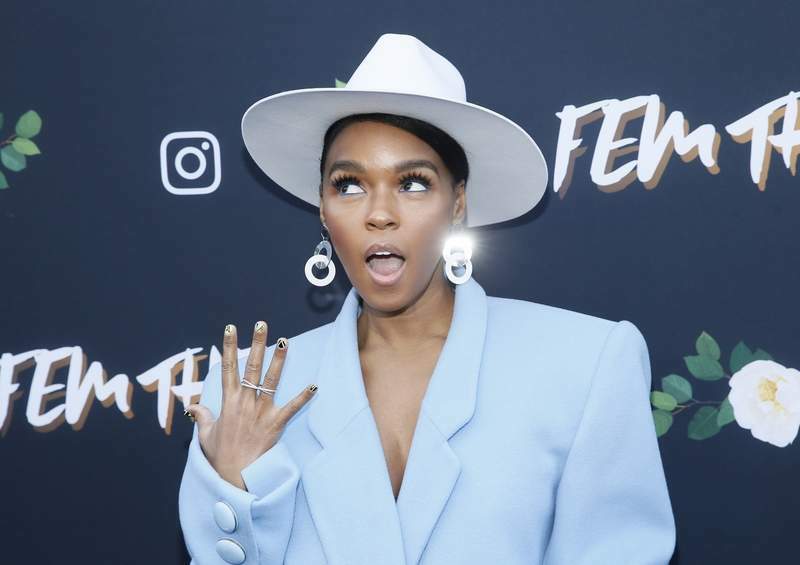 Five of the eight album-of-the-year nominees were women, including Carlile's "By the Way, I Forgive You," Janelle Monae's "Dirty Computer," Cardi B's "Invasion of Privacy" and H.E.R. 's self-titled album are also in contention. Portnow, who didn't seek a renewal on his contract which ends this year, seemed to address his words from last year during Sunday's show. "This past year I've been reminded that if coming face to face with an issue opens your eyes wide enough, it makes you more committed than ever to help address those issues. The need for social change has been the hallmark of the American experience, from the founding of our country to the complex times we live in today," he said. British singer Dua Lipa alluded to Portnow's 2018 words when she won best new artist. "I guess this year we've really stepped up," she said after telling the audience she was was grateful to be nominated alongside so many female performers. Six of the best-new-artist nominees were women, including H.E.R., Chloe x Halle, Margo Price, Bebe Rexha and Jorja Smith. Musgraves performed "Rainbow" from "Golden Hour" during the show, and hit the stage for a second time to honor Dolly Parton. Musgraves and Katy Perry joined forces for "Here You Come Again," later joined by Parton herself. The icon sang a duet version of "Jolene" with Miley Cyrus, who often covers the classic song. But the country music icon truly shined when she sang "Red Shoes," with country foursome Little Big Town providing background vocals. Yolanda Adams, Fantasia and Andra Day teamed up for stirring performance of "(You Make Me Feel Like) A Natural Woman" in honor Aretha Franklin, who died last year. Diana Ross earned a standing ovation when she emerged onstage in a bright red dress to perform "Reach Out and Touch (Somebody's Hand)" and "The Best Years of My Life." She celebrated her 75th birthday early with the performance, saying afterward, "Happy birthday to me!" Her actual birthday is March 26. R&B singer H.E.R., who won best R&B performance for "Best Part" with Daniel Caesar, stunned as she played her guitar and sang. Chloe x Halle impressed when they sang Donny Hathaway and Roberta Flack's "Where Is the Love." Monae grooved onstage during "Make Me Feel," backed by several dancers. Post Malone performed with Red Hot Chili Peppers, and Cardi B grinded onstage during her latest single, "Money." There was a tie for best rap performance, and Drake was surprisingly not one of the winners. Drake's "Nice for What" lost to Anderson Paak's "Bubblin'" and Kendrick Lamar, Jay Rock, Future and James Blake's "King's Dead," from the "Black Panther" soundtrack.